Come to a place where a storybook-inspired setting brings Germanic influence to the Western woods of Washington. Past a novel Bavarian Village, dark woods crowd around the six Cedar cabins of Natapoc Lodging. 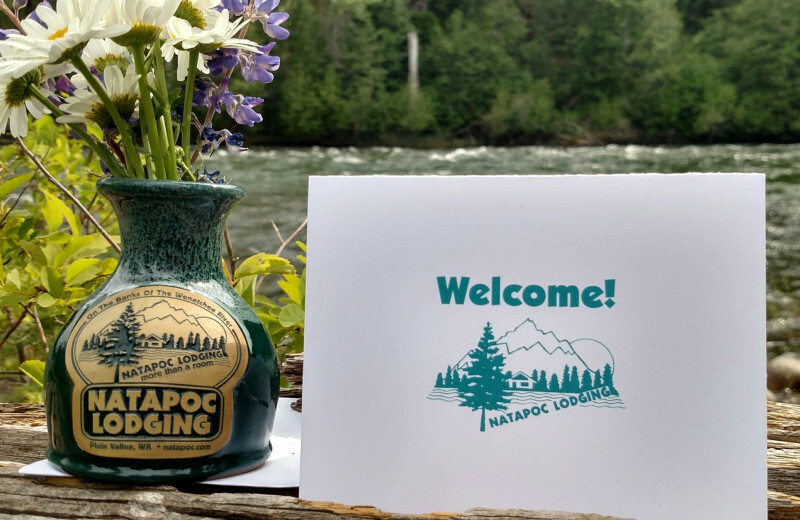 Natapoc Lodging's picturesque plain valley and Wenatchee River bank setting lend local legend status to each wildflower-named wilderness cabin. 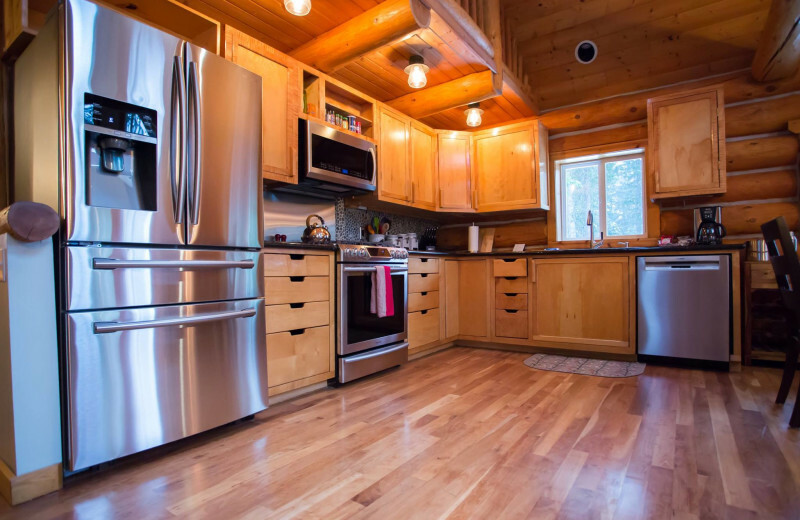 An idyllic Northwest cabin vacation takes place in Kumitskoos, Yarkin, Wumsook, Mahsahwe, Tahkwa, Coocoochin, and Stuchin -- named for Purple Aster, Salmonberry, Cedar, Balsam Root, Wild Geranium, Pine Tree, and Mountain Lily. 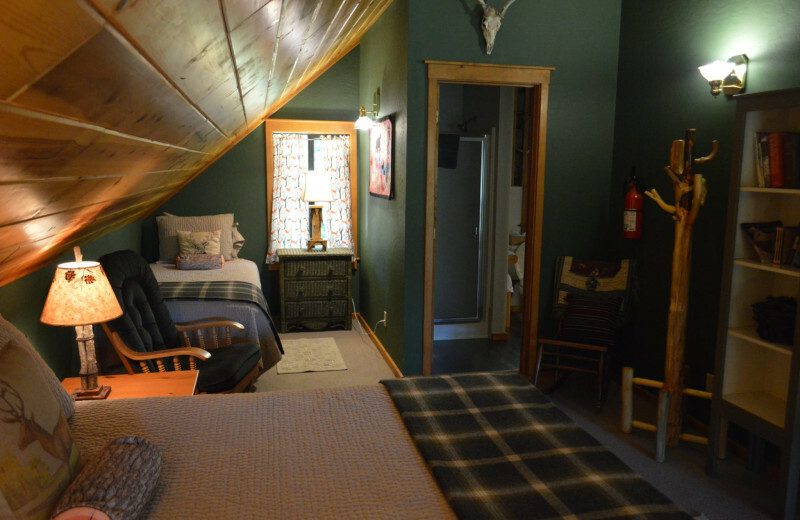 Whichever one you choose, you're welcome to your very own cozy cabin in the Northwest woods. When you're not relaxing in the splendor of your home-away-from-home, venture out to explore the stunning surroundings. 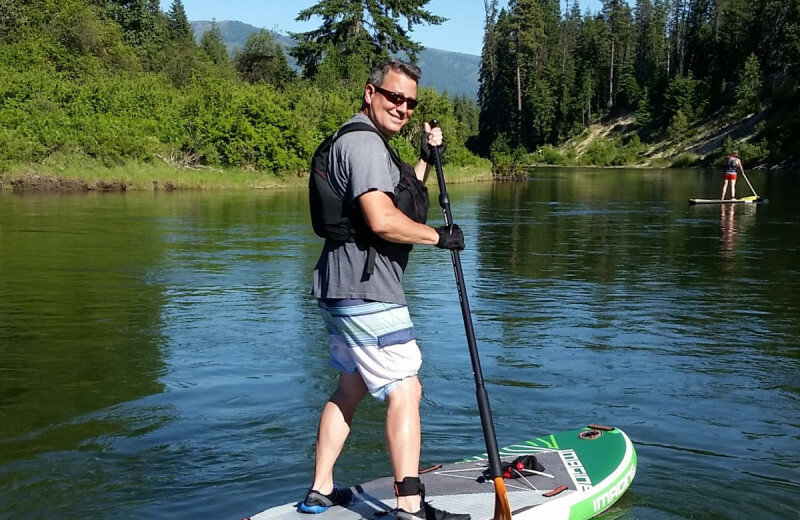 Relax by the waters of the Wenatchee River, cast your line at Fish Lake, or spend an afternoon on a refreshing hiking trip through surrounding trails. There's no better place than this to escape the hustle-bustle and indulge in life's simple pleasures! 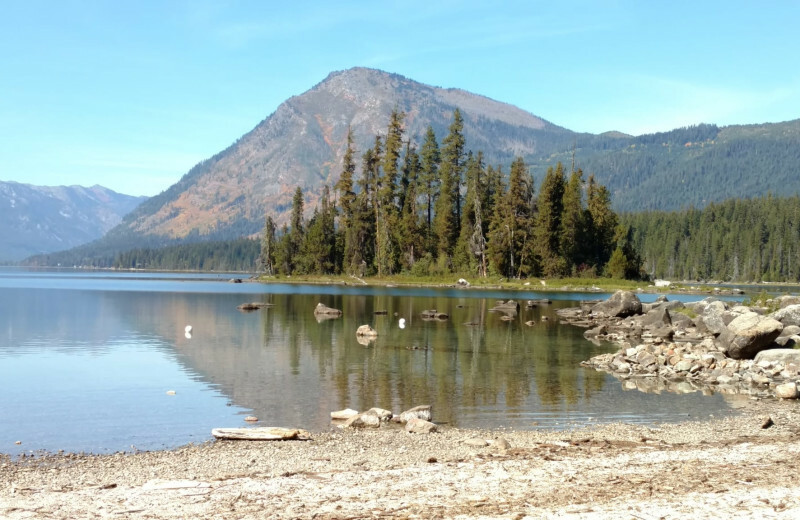 Head to Washington and enjoy the beaches of the nearby lakes when you stay at Natapoc Lodging! 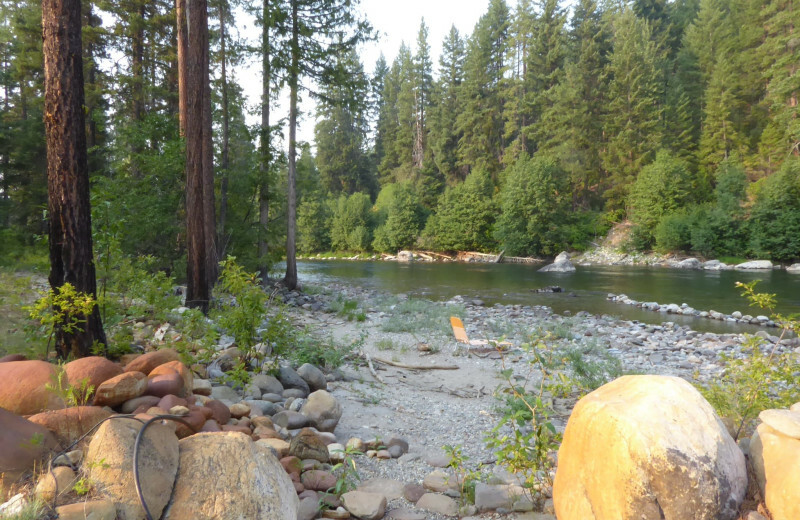 Natapoc Lodging stands on a secluded stretch of the Wenatchee River. Find a nice spot along the river or ask the friendly staff to point you in the direction of the best local beaches, they'll be happy to help. 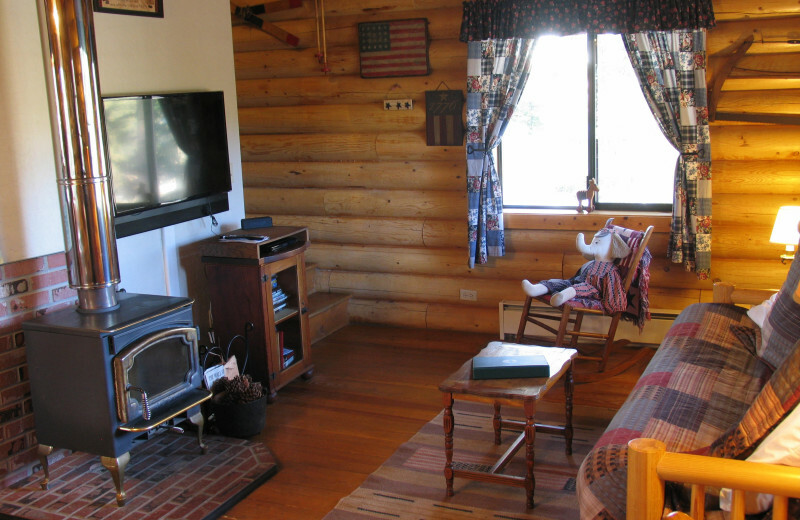 At Natapoc Lodging, your family can have a getaway so secluded, there's not another cabin in sight! 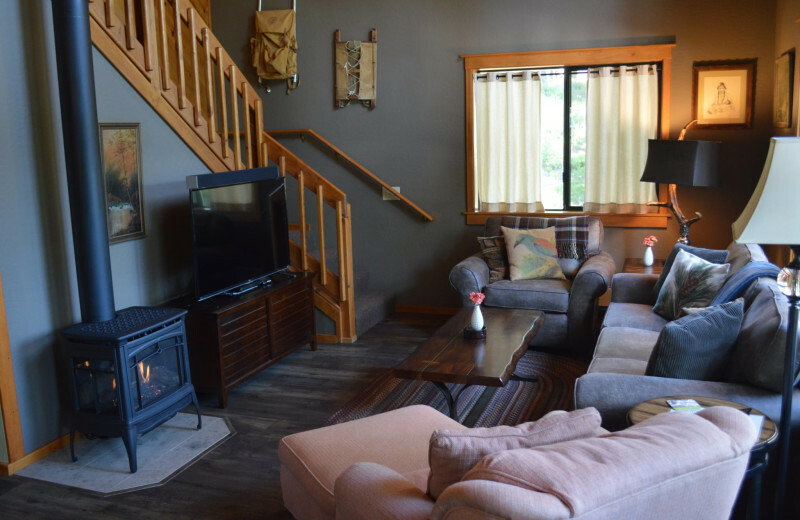 Enjoy a family barbecue or soak in the hot tub on your deck as you watch the rambling river. 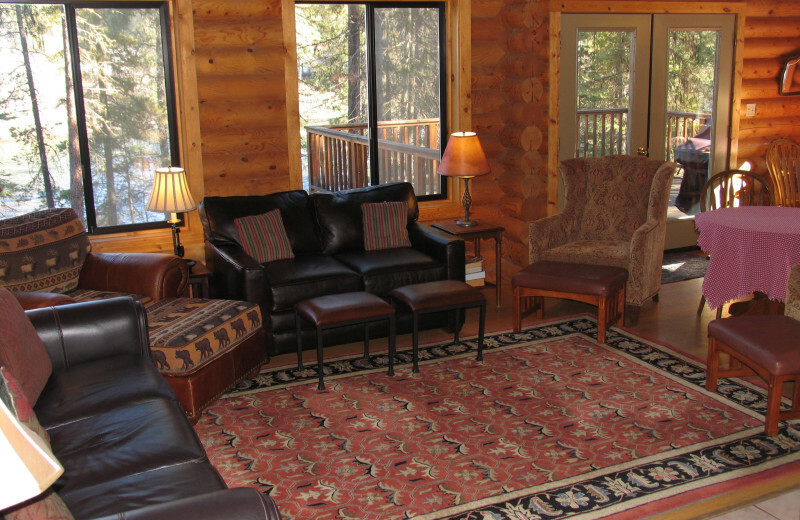 Enjoy the exuberance of summer, the crisp colors of autumn, or the stillness of winter together at Natapoc Lodging! 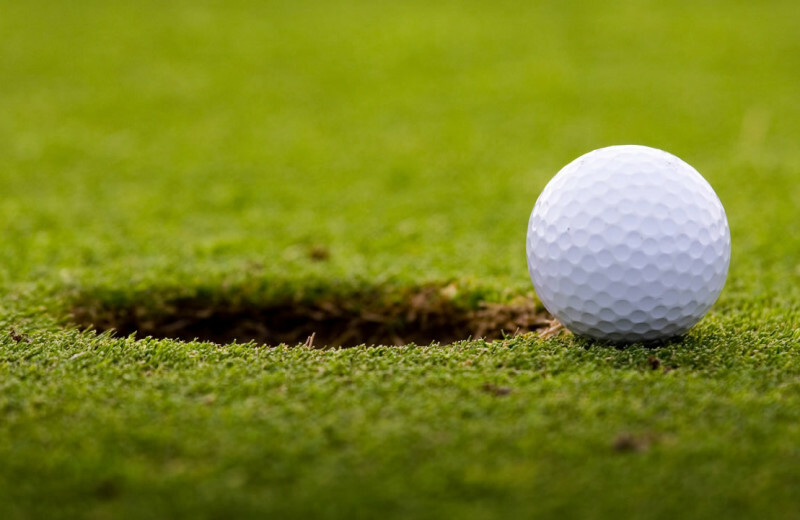 During your next vacation, take some time to tee off! 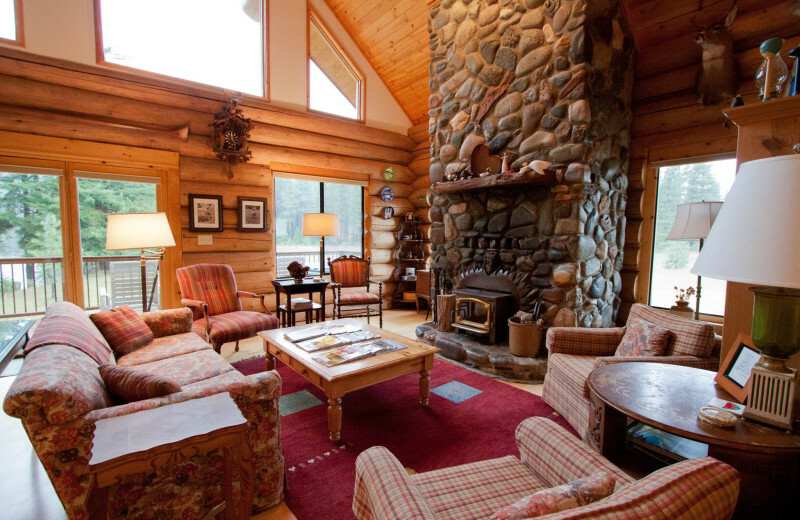 When you stay at Washington's Natapoc Lodge, ask the friendly staff where the best courses are. 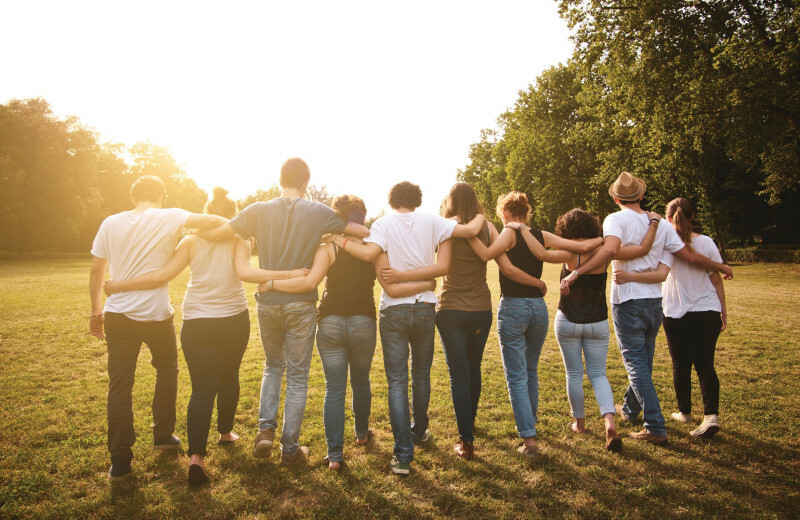 They'll be happy to help you find a course that's just right for your skill set. Pack up your clubs and get ready for a memorable vacation. Book today! 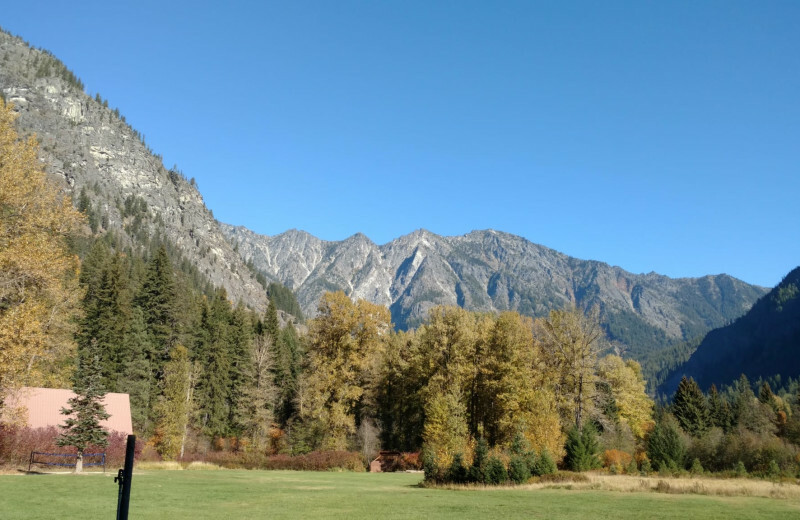 If you're lucky enough to travel to Leavenworth, Washington, for a corporate retreat, conference or meeting, you've come to the perfect place for a woodland retreat. Mahsahwe, the largest of the six Natapoc Lodging cabins, will fort a full staff, and the Tahkaw Cabin seats up to 40 people. Three stories of space, a riverfront setting, and private Hot Springs hot tub deck add luxury to an already special setting in the woods of Washington. 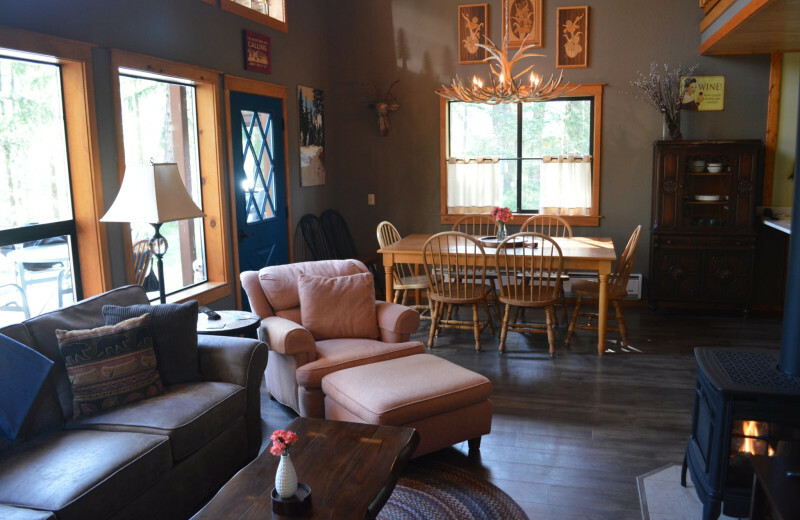 A great cabin for corporate retreats, family reunions, or a group of friends, Mahsawe is surrounded by 1 1/2 private acres and 200 feet of Wenatchee River. And if that weren't enough space, Mahsahwe also has three stories, two living room areas, a full kitchen, and three full baths with extra sinks! There is also a deck on each level, one with your own Hot Springs hot tub overlooking the Wenatchee River. 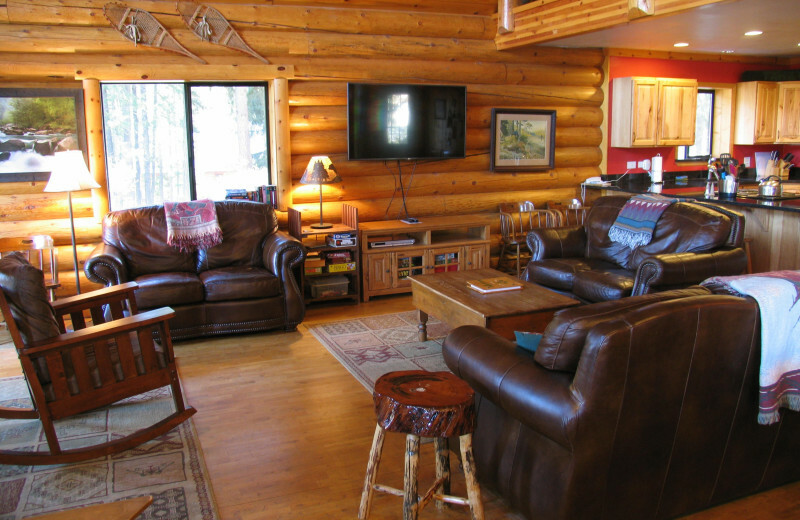 The Tahkaw Cabin also seats up to 40 people! 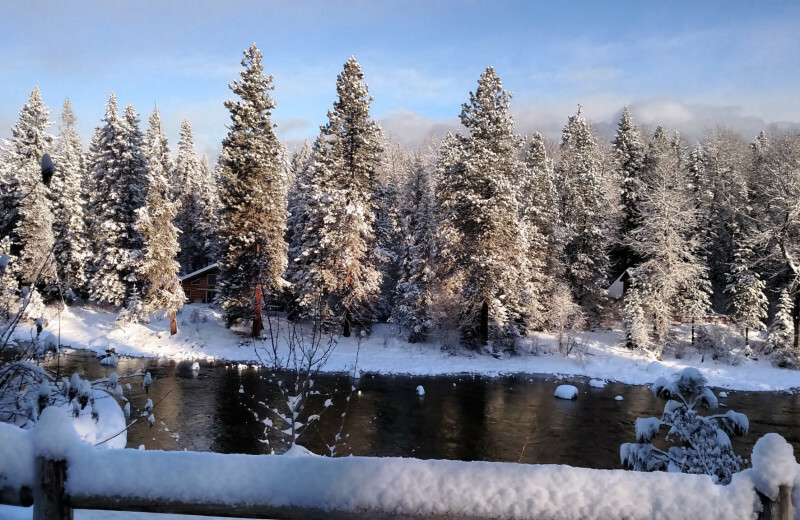 The secluded woodlands of Leavenworth, Washington, offer four seasons of fun. Summer activities such as hiking, rock climbing, and kayaking are all available and let you truly experience the beautiful natural scenery at your own pace. 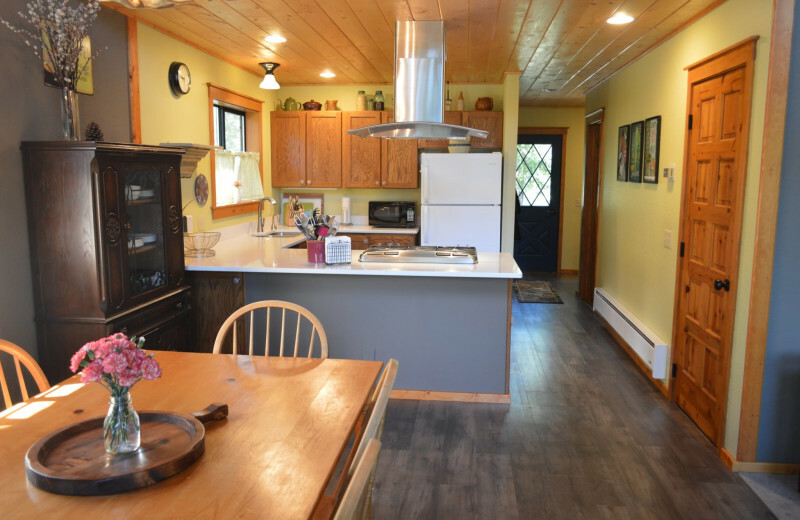 Or, you can watch the river from your deck's hot tub or relax by the fireplace on a cool evening. 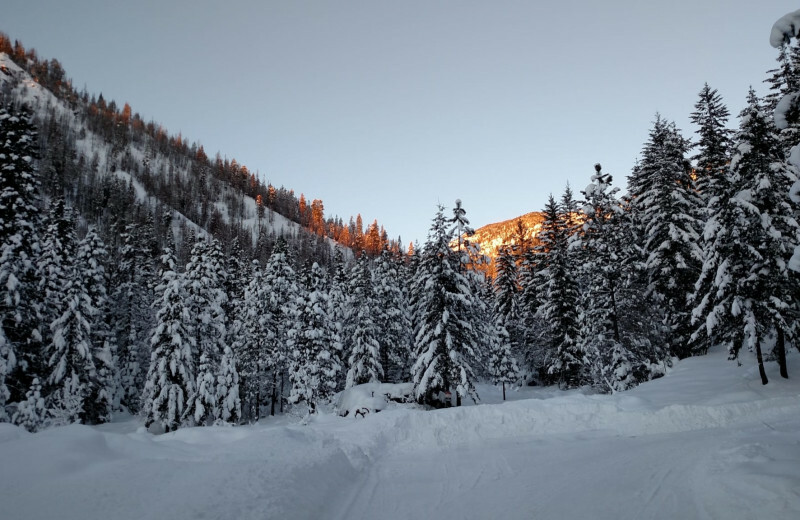 In the winter, cross-country and downhill skiing are popular options! 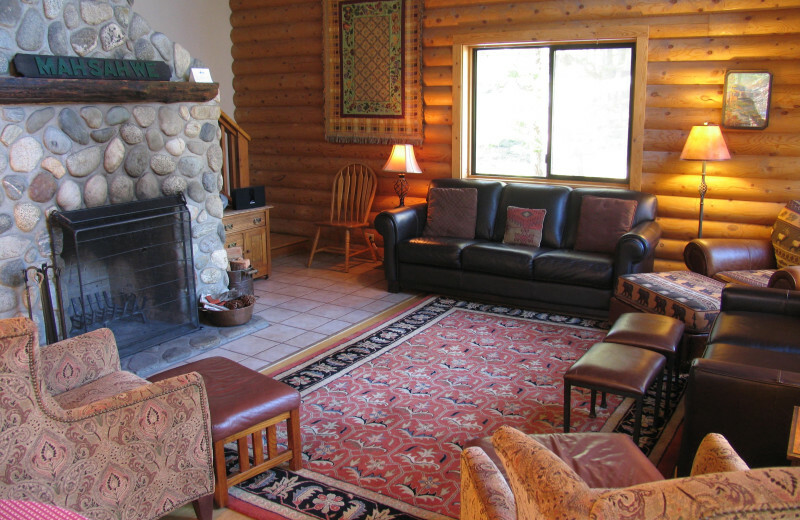 Natapoc Lodging has something for everyone and for every season. The South isn't the only dreamy fly-fishing destination in this United States. Escape to Leavenworth, Washington, for some of the best fly fishing you'll encounter on Lake Wenatchee or Fish Lake. 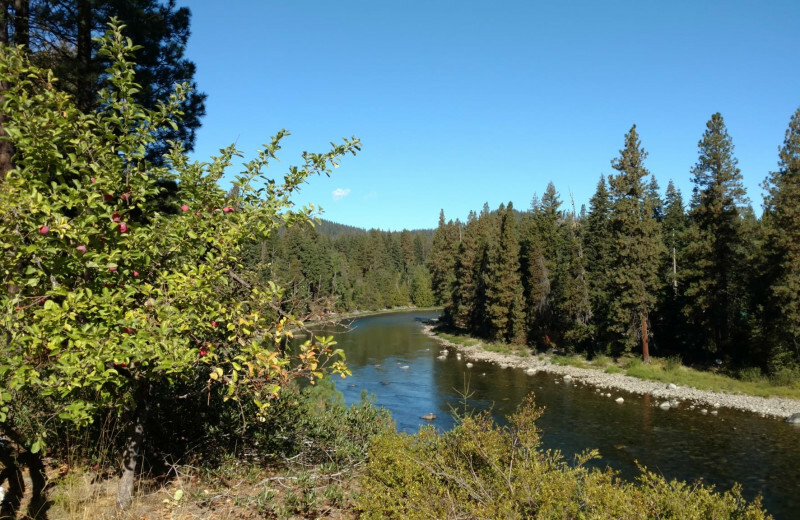 Napatoc Lodging options are all situated on this idyllic fly fishing location so you can get a taste of true fly fishing perfection. 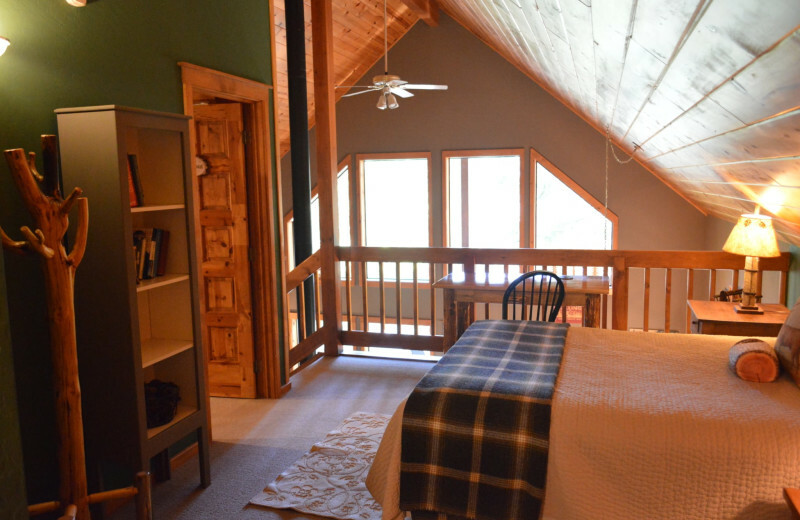 Natapoc Lodging offers you and your sweetheart the perfect romantic vacation. 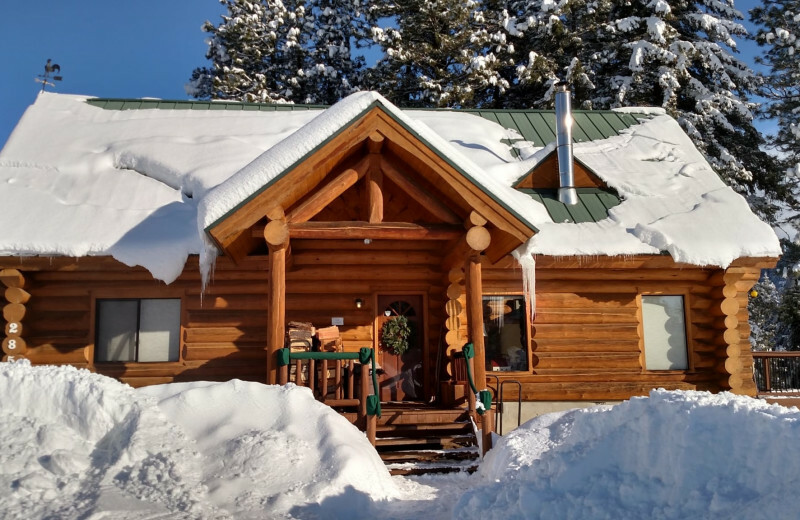 Set on 2 ½ acres, the Stuchin is a private honeymoon log cabin where you can soak in a hot springs hot tub for two, overlooking the Wenatchee River. Curl up by a wood stove fireplace and retreat for the night under an Indian Wedding Ring quilt. Old Man Winter brings more than a handsome coat of snow to bring the Northwest woods that snowglobe look. 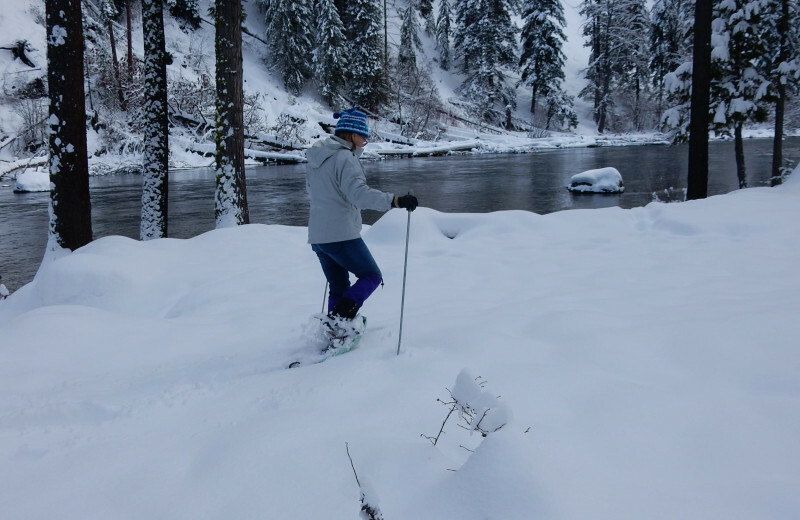 Winter snow also brings the Leavenworth, Washington, tradition of beautifully groomed cross-country ski trails at Lake Wenatchee. Are you a downhill-only skier? Indulge in an alpine ski adventure at Stevens Pass only 28 miles away with Mission Ridge just a few miles further. Don't worry about leaving your favorite pet behind at home during your Washington vacation. Natapoc Lodging has space for all -- including your four-legged family members! Pets are allowed by permission only, at a small nightly fee. 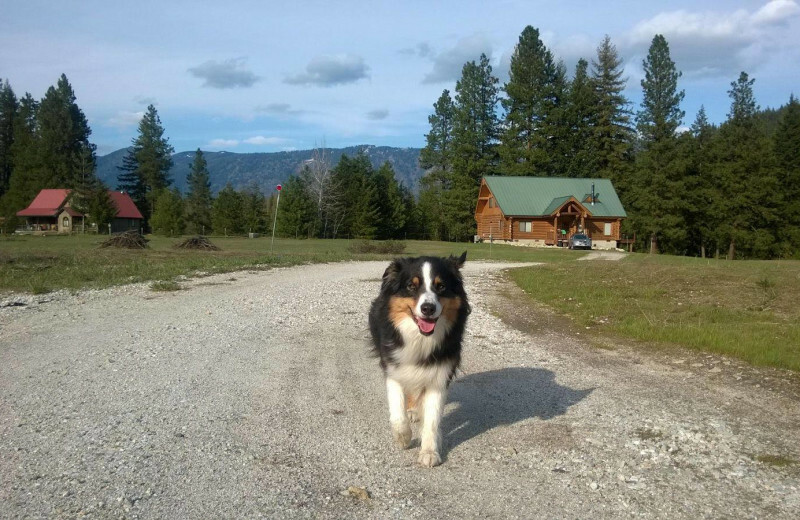 Make sure the entire family joins you during your next Northwest vacation, even Fido! 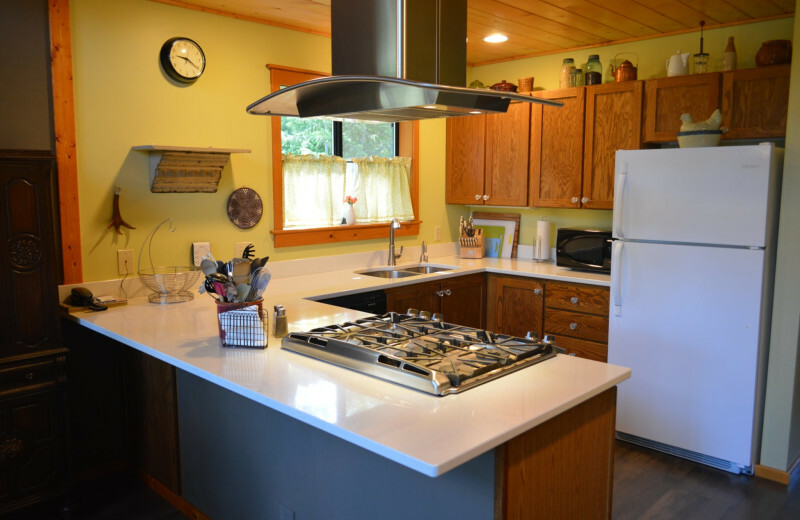 Each cozy river valley cabin offers the convenience of a fully equipped kitchen, fireplace, telephone, radio/cassette player, gas barbecue, TV/DVD, and electric heat. 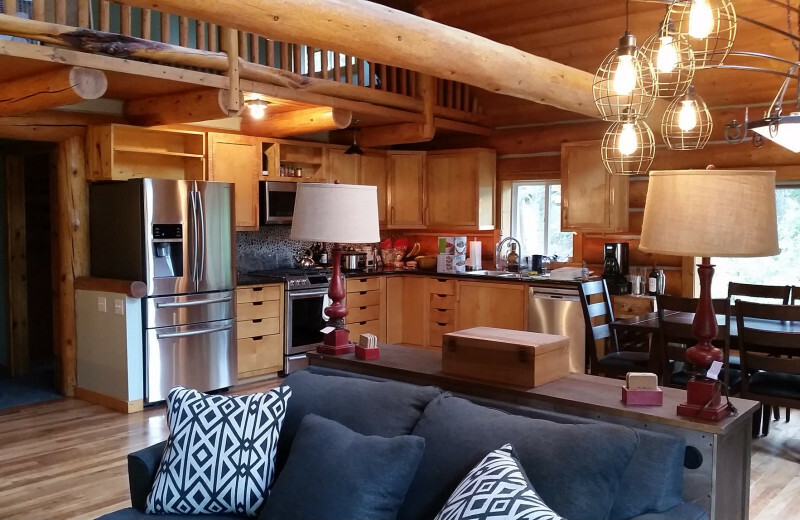 Decorated in quilts, comforters, and Pacific Northwest country antiques, a warm ambiance is heightened by four cabins' extra luxury addition of Hot Springs hot tubs. 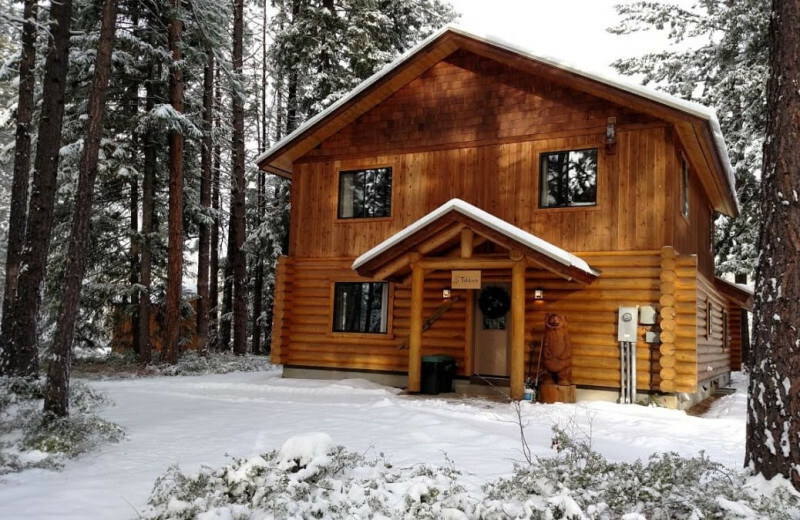 These are more than just cabins -- they're luxury log houses with Wenatchee River frontage, secluded woodland settings, and four full seasons of outdoor attractions. The full mountain experience doesn't end in the river valley plains of Washington. 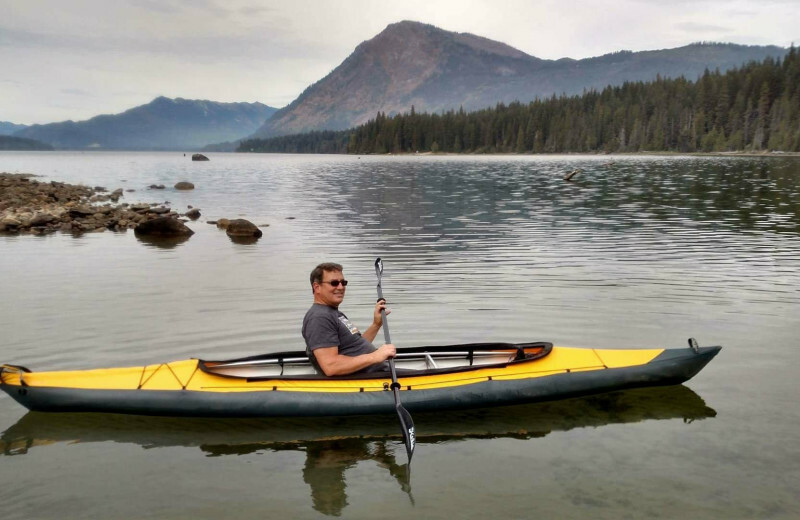 When you stay at Natapoc Lodging, you're just minutes away from plenty of outdoor activities. Enjoy mountain sports like skiing, snowboarding, sledding, mountain hiking, and cross-country skiing. And, indulge in the breathtaking Wenatchee River backdrop. "Natapoc" is the Native American-given name for the mountain. 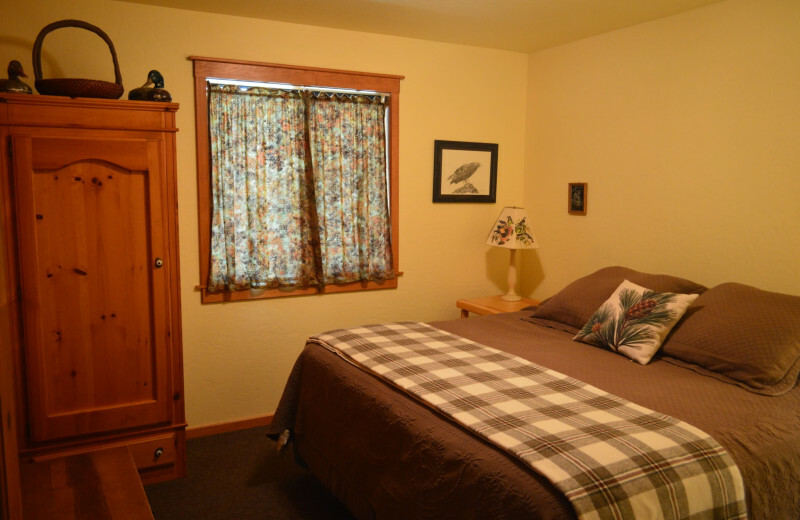 Natapoc Lodging stands beside on a secluded stretch of the Wenatchee River. 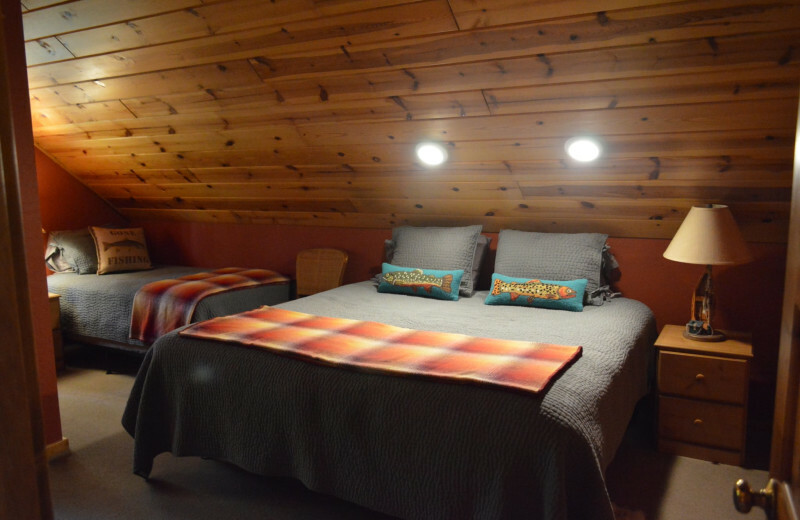 Each cabin also boasts a Native American name originating from a local wildflower or tree. Come experience this historic destination on your next Washington vacation! You don't have to buy a passport to go to Bavaria anymore. 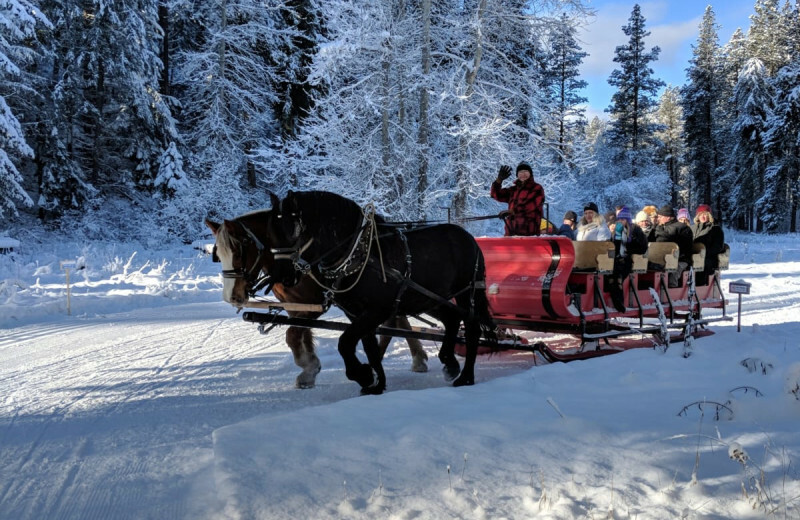 Enter the wonder of the Black Forest, in the Pacific Northwest from Natapoc Lodging cabins just past the Bavarian Village of Leavenworth, Washington. 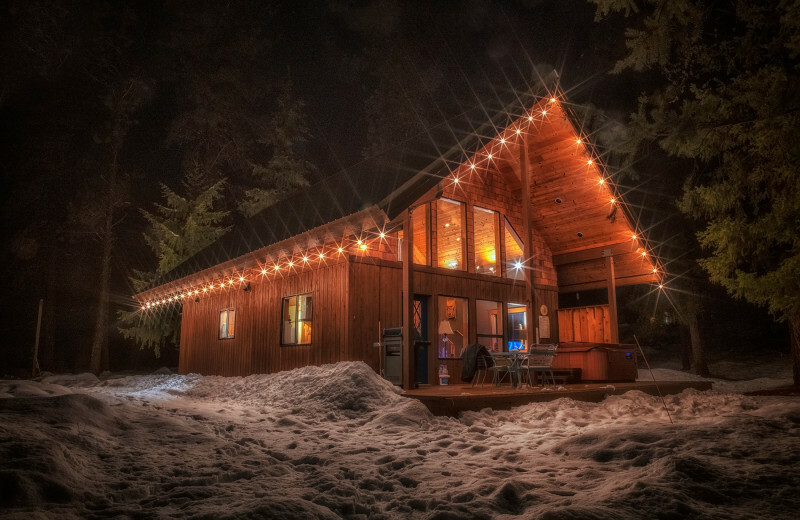 The Stuchin honeymoon log cabin, named for the Mountain Lily, is perfect for your first romantic journey together. Enter the spell of Washington's mountains in this special getaway on 2 1/2 acres of private Wenatchee Riverfront. Decked in country flair, an Indian Wedding Ring quilt, and stained glass window, Stuchin is the honeymoon retreat cabin of your dreams. 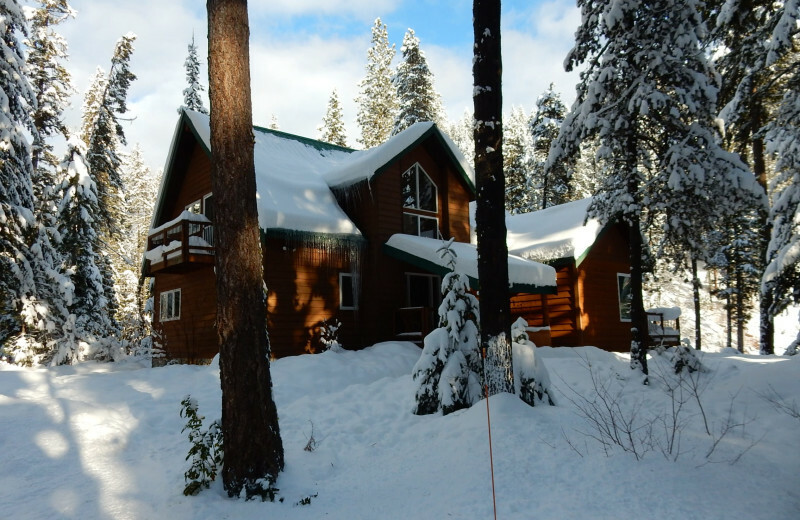 Each of the cabins at Natapoc Lodging rests on 1 ½ to 5 private, wooded acres with at least 200 feet of Wenatchee River frontage, offering the ultimate in beauty and seclusion. 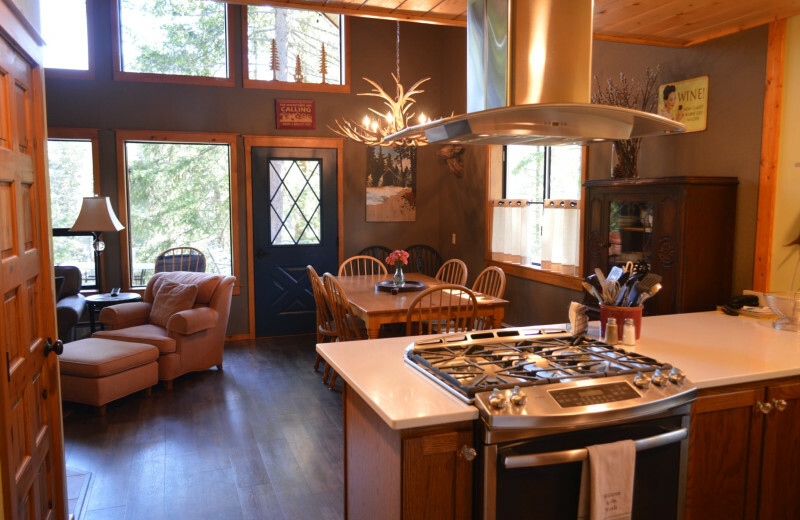 Each cabin is fully-furnished with linen service, full kitchens, fireplaces, and decks with river views. 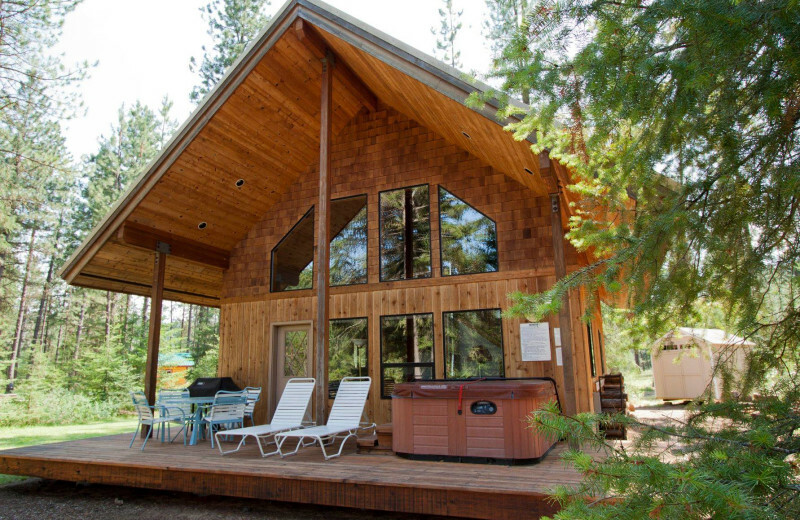 Four of the six cabins even sport private decks with Hot Springs hot tubs. 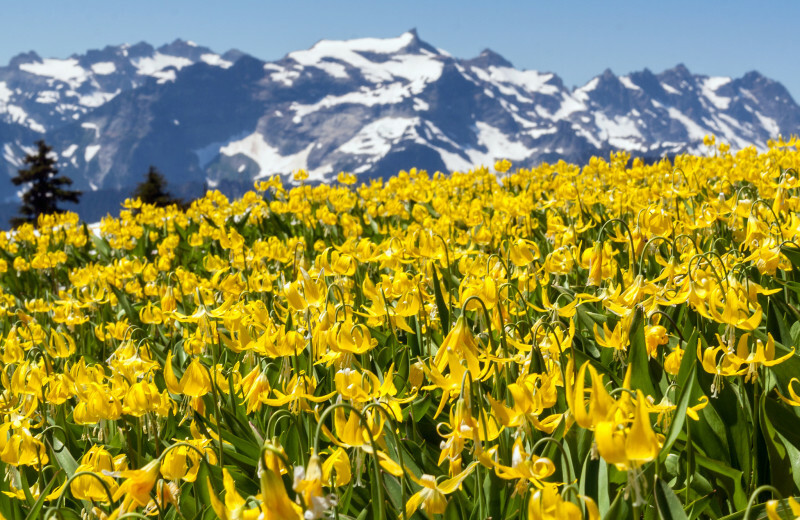 From fireworks to winter festivals, Leavenworth, Washington, is a four-season destination. 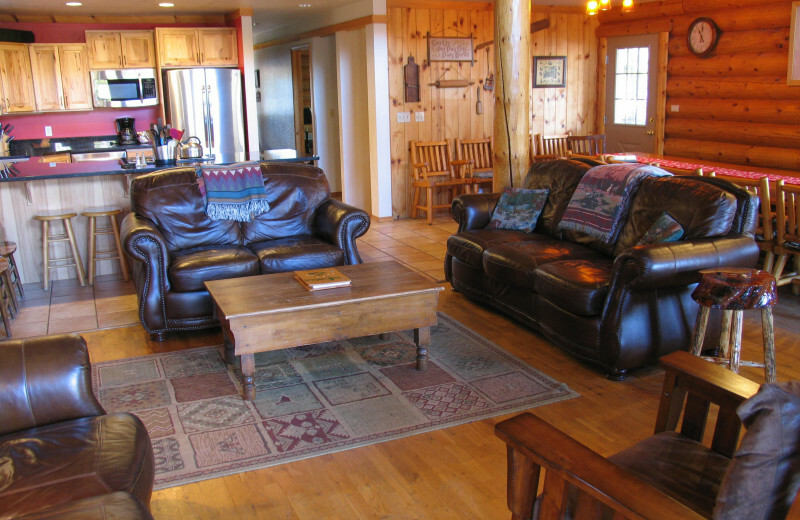 Natapoc Lodging options give you the great luxury of choice, not to mention a very lucky locale. This Bavarian Village is full of fun opportunities, from unique shopping stops, skiing adventures, treasure hunting, gardens and parks, museums and treasure hunts, wineries, mountain yoga classes, breweries, movie theaters, and fine dining tours. 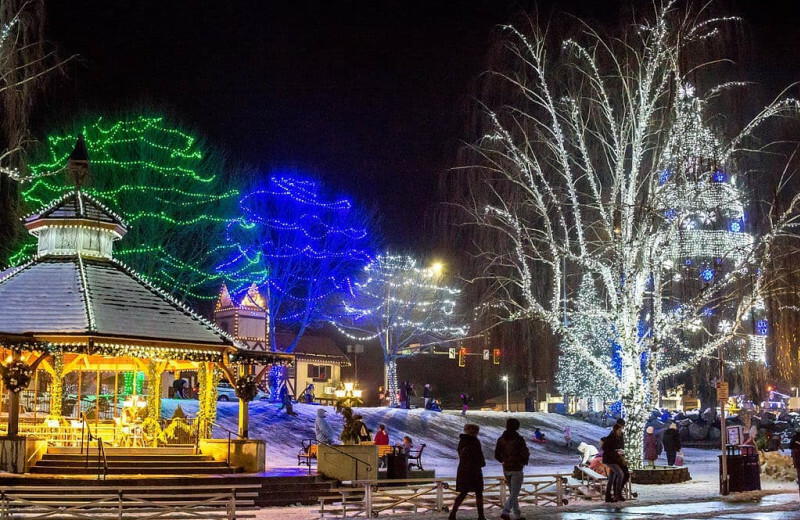 Come taste apple festival season, or see the Bavarian Village alight during Icefest! 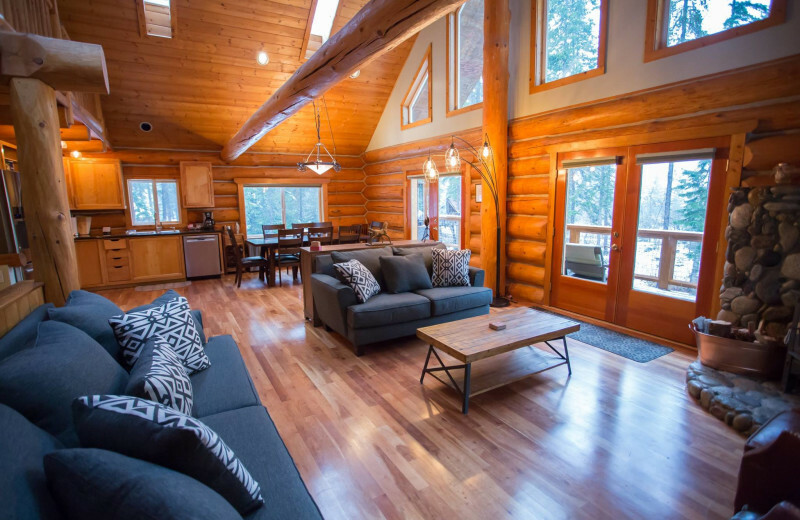 This property is ranked number 1 on Top Washington Cascades Resorts. Read about it here.